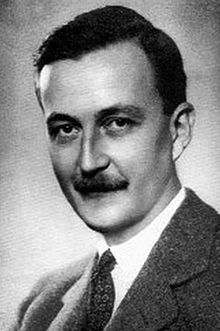 János Esterházy (1901-1957) was an ethnic Hungarian Slovak politician, a devout Catholic and member of the pro-Hitler Slovak Tiso parliament during World Wat II. Jozef Tiso, a Catholic priest and leader of Slovakia was convicted as a World War II criminal and hanged in 1947. Esterházy enthusiastically supported Hitler, Mussolini and pro-Hitler Miklós Horthy, Hungary’s ruler. After WWII he was convicted in Czechoslovakia as a war criminal and received a life sentence for collaboration with the enemy and assisting the Nazi breakup of Czechoslovakia. Esterházy died in prison in 1957; he was 56 years old. A couple of years ago the Orbán-government in Hungary started a campaign to “rehabilitate” Esterházy. Hungarian government historians claimed that Esterházy risked his life to save Jews. Yad Vashem firmly refused the claim. Esterházy voted for all of the shameful Slovak Jewish race laws, except the deportations, when he abstained. As an anti-Semite Esterházy favored “the legitimate struggle against the Jews because for decades and centuries Hungarian masses have also been suffering due to Jews and Jewish harassment.” He also wrote. 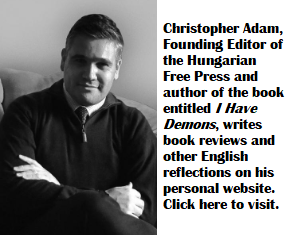 “I have held an anti-Jewish stance since the early years of my life and I will continue to do so.” Only about 10% of Slovak Jews survived the Holocaust; about 60,000 perished. On September 16 in the village of Dolné Obdokovce, Slovakia, (in Hungarian, Alsódobok) a brand new Catholic Chapel will be inaugurated as the resting place for Esterházy’s remains. Mr. László Kövér, Speaker of the Hungarian Parliament, is scheduled to be present and speak. 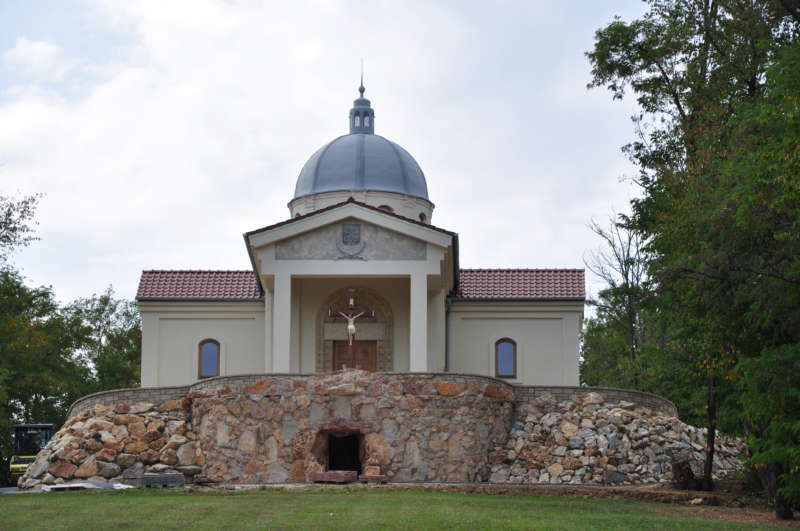 The Chapel is built on the private property of the Paulisz family; at this point it is not clear who provided the substantial cost of the elaborate Chapel and related cave structure. It is suspected that the Hungarian Government has generously supported the project. In 2012 in Romania Mr. Kövér participated in a similar event to honor Mr. József Nyirő, a Hungarian fascist writer who hid and died in Spain after WWII. The late Elie Wiesel protested and he returned his Hungarian State Award because of it. Israel declared Mr. Kövér persona non grata. Thank you very much for your email and information regarding the event to be held tomorrow in the Slovak village of Dolné Obdokovce. As you and many other representatives of the Jewish Community alongside with reputable historians fairly point out, János Esterházy was indeed a very controversial historical figure. In this and other similar cases we cannot [ignore] neither the results of serious historical research conducted in our country and abroad nor the views of the Jewish Community that survived the Holocaust in Slovakia. I would like to assure you that the respective Government agencies are closely monitoring any activities carried out by official and private entities that aim at the Holocaust denial. As you surely know, according to our law, denial of the Holocaust is considered a criminal offense. Should you be interested in some detailed information on this issue we will be more than happy to provide you with contact details of Slovak historians and experts dealing with the Holocaust and/or the representatives of the Slovak Jewish Community. Mr. Lazar, I’m happy that you raised the question and did the decent thing. Now, let’s keep our eyes open whether the Czech Ambassador and his country will do the decent thing as well. This is nothing more than openly interference in the internal affairs of a neighboring country. Just because once Hungary owned and controlled that land and the named individual had Hungarian sounding name is no excuse. Hungarians need to learn that basics. Only about 10% of Slovak Jews survived the Holocaust; about 60,000 perished. So … the total number of Jews in Slovakia was 67,000. Are/were/did the surviving 10% just stay in Slovakia, so that today there are 15,000 Jews in Slovakia due to natural increase (except for any Jewish immigration to Slovakia or emigration from it, of course)? Or did they go elsewhere? My neighbor across the street here in the US was a Jewish Slovakian Holocaust “victim” until his death three years ago, and was receiving reparations right up until the end (might still be receiving them if I had not reported the demise to the Bundesfinanzministerium).